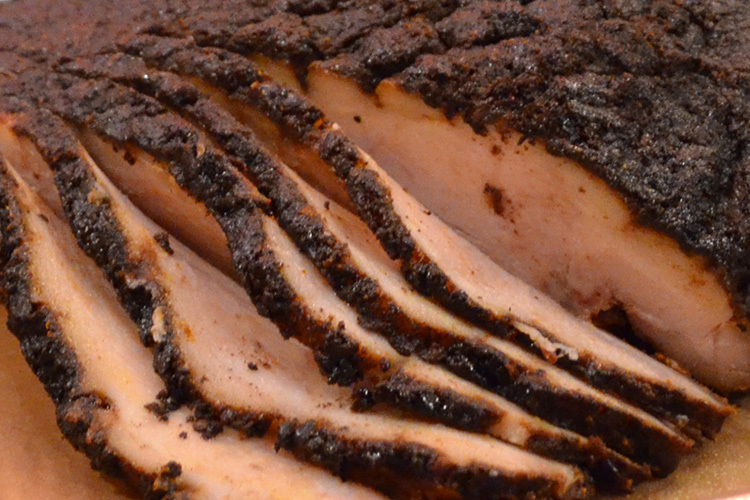 Tender pulled pork, Black Angus brisket, St. Louis style ribs, and dry-rubbed chicken, all smoked on-site and prepared daily. Freshly-made sandwiches, burgers, salads, and sides means something for everyone! 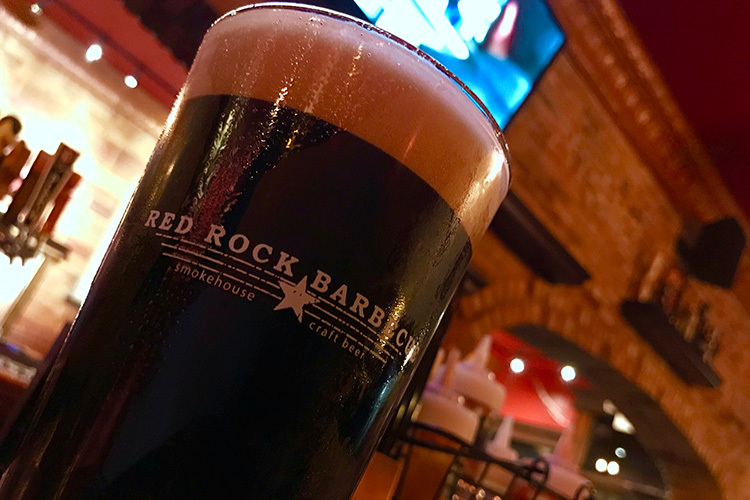 EVERY DAY from 3-6pm, and again from 9-close, Red Rock serves up great beer and drink specials, plus a special selection of discounted food items, making it the best happy hour value in town! 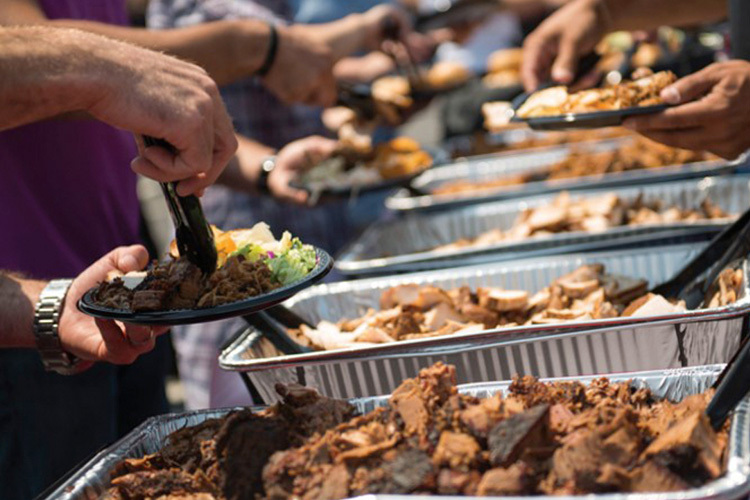 Weddings, tailgate parties, office meetings, family reunions, graduation parties… whatever the occasion, Red Rock Catering has everything you need to make your next event delicious and enjoyable. 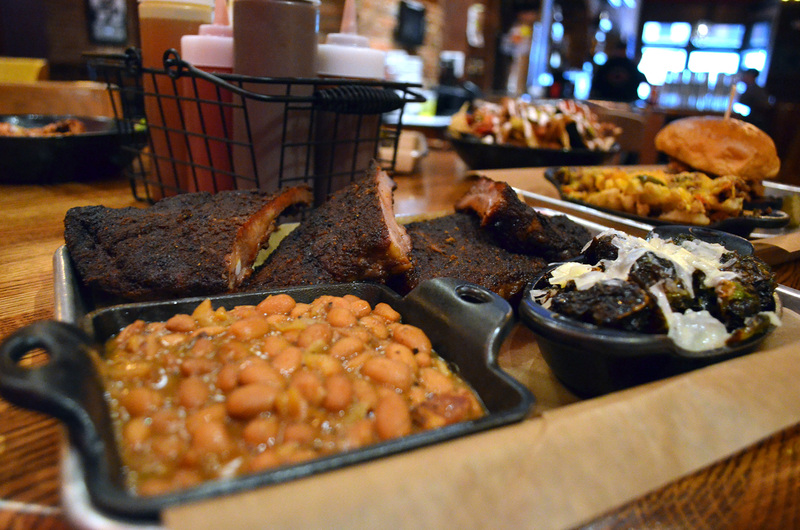 "Awesome BBQ place in Ypsi. Saw this place a few times and finally got a chance to try it. They got quite a selection of draft beer. Got the ribs, and it was delicious! Love their sauce, a bit on the sweeter side so mix up the sauces! Sides are generous and good, too." 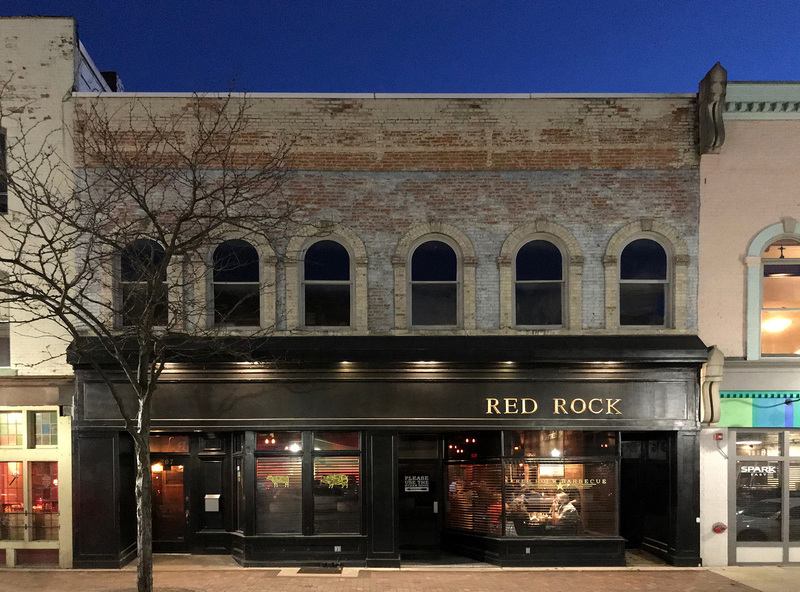 "Red Rock is my favorite restaurant in Ypsilanti. I can't think of a single thing they could improve on. I love the brick, the beautiful bar, the great whiskey selection, the service, and the food. They have burnt ends! The delicious, fatty and crispy end pieces of a beautiful brisket. 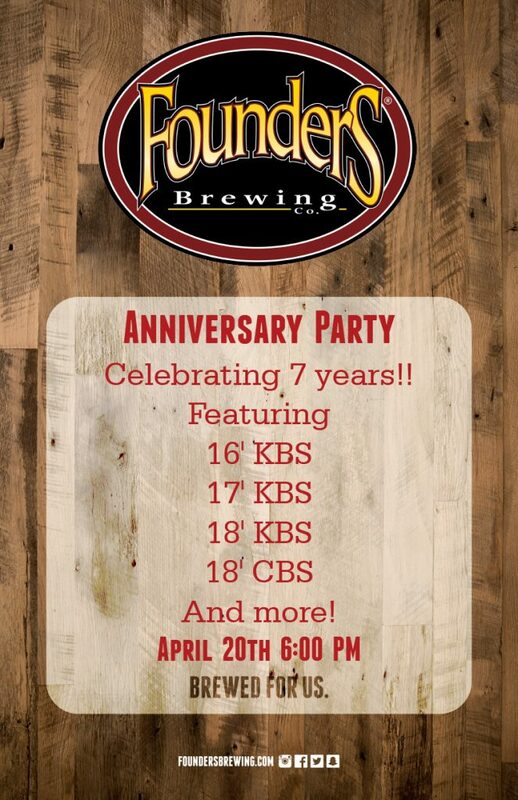 They also have the best Brussels sprouts I have ever had...The service is great and so are the happy hour prices." "Friendly and knowledgeable bar staff. Delicious food. Wide, rotating selection of beers. Comfortable setting. Glad to have it available and nearby."